The Lancaster Winery, the picture of Sonoma. All photos by Pavia Rosati. Last spring, Popupla founder Pavia Rosati was invited by the Relais & Châteaux hotel group on one of their Route du Bonheur trips through Napa and Sonoma Counties. Three days, three hotels, one extra-indulgent good time. HEALDSBURG, California – The French Laundry may be closed for extensive renovations, but chef Thomas Keller had time to be my guide on a spring trip through Northern California. Well, sort of: Keller had collaborated with my hosts, the hotel group, to design a Route du Bonheur (French for "road to happiness") itinerary, an epicurean adventure with stops at various R&C hotels in Napa and Sonoma counties. is a concept Relais & Châteaux created to help travelers plan visits to their hotels and restaurants throughout the world. Not a bad idea: Get a notable chef to design the gastro road trips between incredible spots. Take some of the work out of travel planning. Not that you have to work very hard to find ridiculously good food, wine, décor, and scenery in Napa and Sonoma. 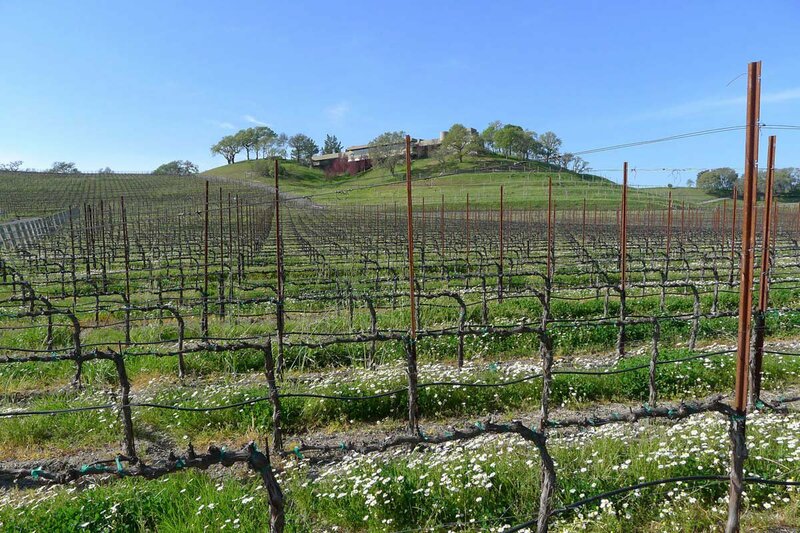 If you've never been, this is what it's like: The countryside is blanketed in vineyards. The two-lane roads wind through picturesque woods and valleys, curving gracefully with the rhythms of the landscape. The small towns are filled with low buildings along tree-lined main streets, many of which are literally called "Main Street." The ground level shops are either expensive boutiques or gourmet emporia. Whoever is art directing everything around here is working overtime. The lobby at Hotel Les Mars in Healdsburg. 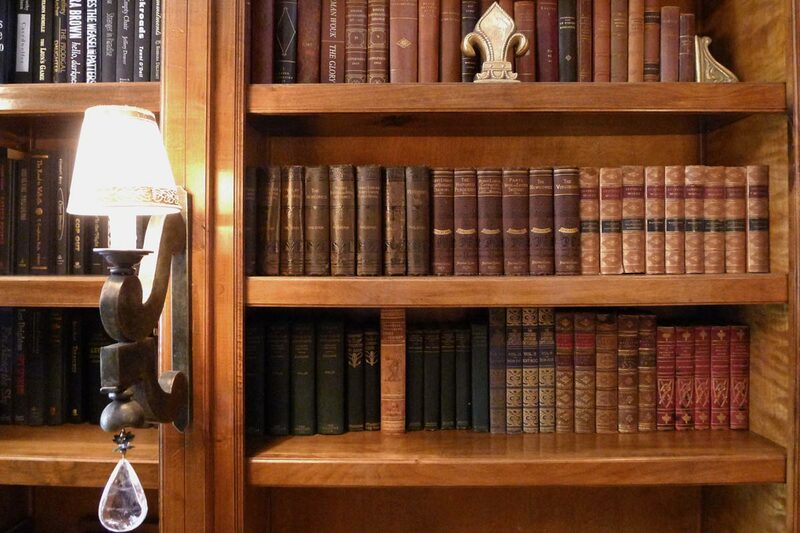 A detail from the library at Hotel Les Mars in Healdsburg. Our journey began in Carmel-by-the-Sea where I was attending . This was a weekend that included such hardships as tasting 14 different Dom Perignon champagnes vintages from 1966 to 2002, attending a seven-course tasting dinner prepared by some of the world's best R&C chefs, and a stay at the unforgettable Hotel. I was traveling with three California-based journalists and the indomitable Sasa Nicolic, publicist for Relais & Châteaux. For the purposes of this story, this is the essential thing to know about Sasa: He likes to arrange things, and he likes to arrange them well. Our accommodations and meals were set to be stellar, and our transportation included two just-off-the-assembly-line cars, courtesy of BMW: a white 5 Series sedan and a firey red 4 Series convertible tricked out with WiFi and GPS beamed directly onto the driver's windshield. The bar, in other words, started pretty high. And it only went up from there. Our first stop was Healdsburg in Sonoma County, where we checked into , a small, nine-room hotel a block from town square. 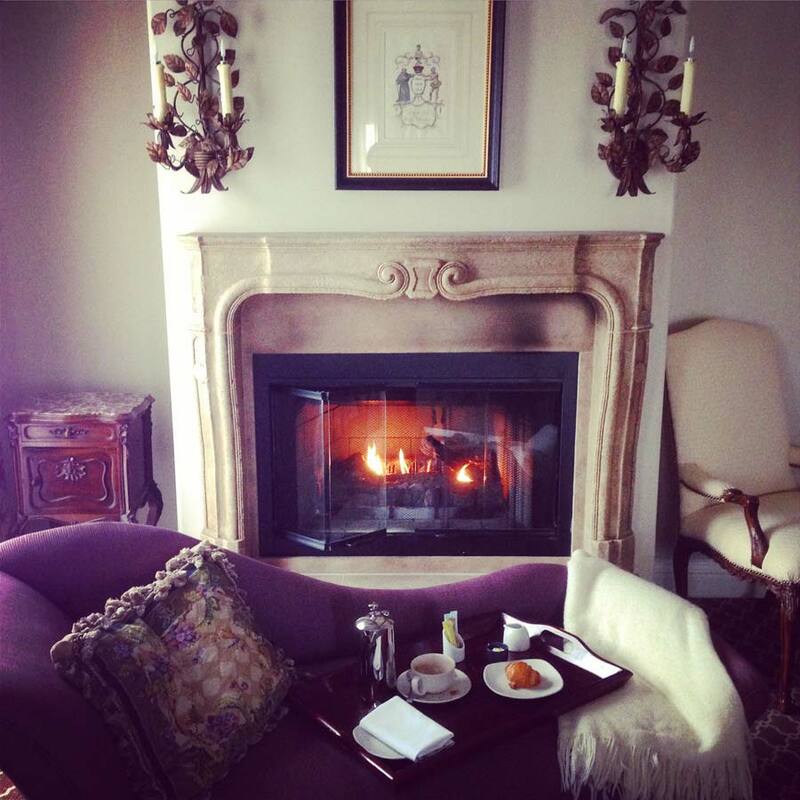 Close your eyes and imagine the perfect French country inn. One with a wood-paneled library lined with secret compartments and outfitted with deep armchairs in front of a roaring fireplace. 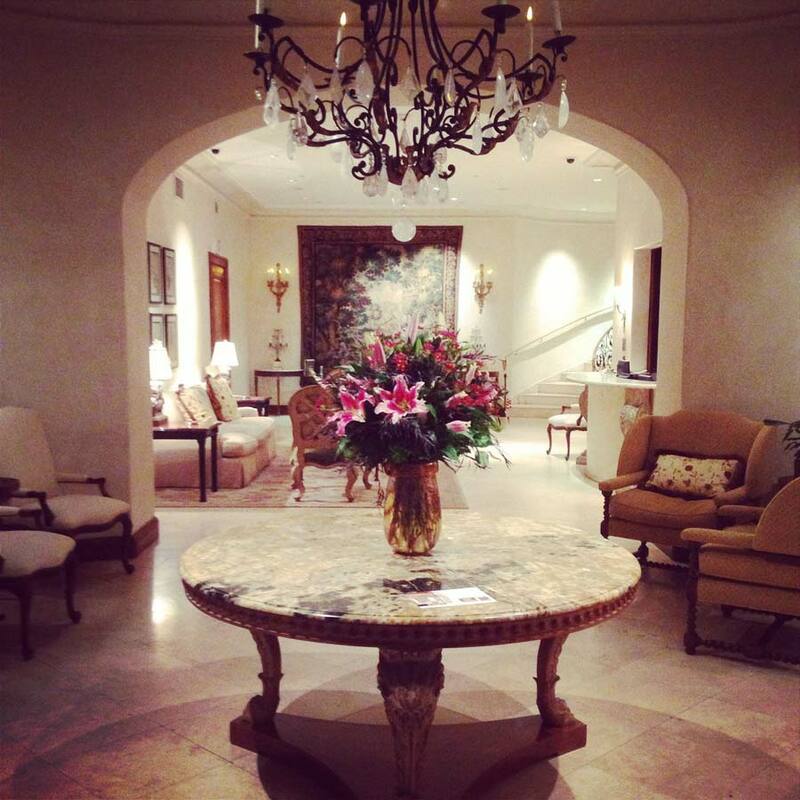 One with gorgeous floral arrangements under heavy marble tables and elegant chandeliers. One with overstuffed sofas that you sink into. Now make it somehow even better (for one thing, you didn't have to cross an ocean to get here) and open your eyes. You're at Hotel Les Mars. And you haven't even gone up to your room yet. There's time for that. First, we have lunch. , located next door, is the Platonic ideal of a food shop and a restaurant. The Larder stocks everything (fresh flowers, cookbooks, prepared foods, produce). The café serves farm-to-table goodness, much of it grown by owners Doug Lipton and Cindy Daniel. Lunch, which may have been intended as a snack, turns into a feast. We begin with aperitifs from the fermentation bar — a few kombuchas and a flight of shrubs, old Colonial concoctions made from macerated herbs, vinegars, fruits, and soda. ("Shrub" is believed to come from "sharab," the Arabic word for "drink.") We then dig into cilantro-cured cod with baked lemongrass rice, fingerling potatoes with seaweed aioli, salads, and Shed's pickle board. To say that everything is fresh, gorgeous, and delicious almost misses the point. Pinch me: I'm in a locavore dream. 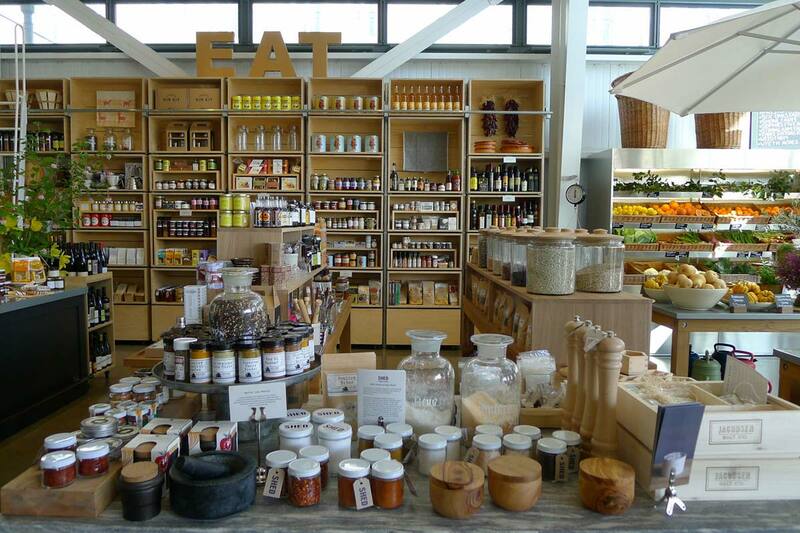 Living the locavore dream at Shed. The wine tasting room at Lancaster Winery. We make our way to for a vineyard tour and wine tasting. I'm that rare bird — rarer still around these parts — who really loves wine but really doesn't like wine tastings. What's the point? If I'm drinking something I like, I want two glasses, not two sips. Still, vineyards are often gorgeous places to visit and walk around, and this one is no exception. 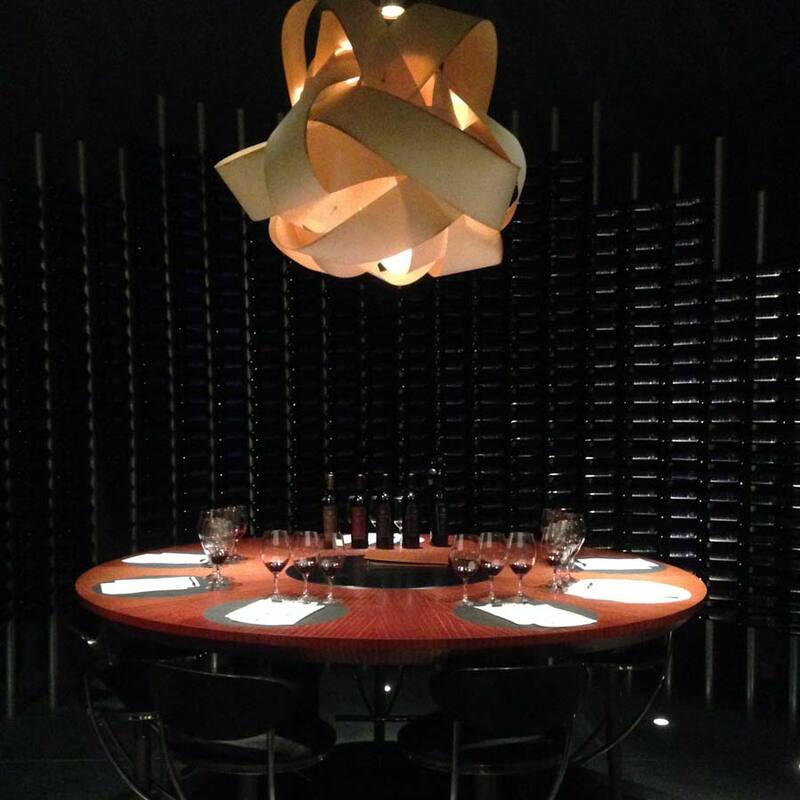 The winery is a dramatic showpiece built into the earth, all darkness and spotlights, with tastings conducted in a round room at a round table. We ask our host if the Lancasters, with their lion and crown seal, are actually the Lannisters from Game of Thrones, because that's the impression their winery gives. Outside, the vines line the rolling valley, and we walk up a small hill to tour the owner's villa, which has an outdoor kitchen with a pizza oven, showers with skylights, and a pool overlooking the valley. Yes, it's available for rent. Back in Healdsburg, I have a few hours to walk around town. So much catches my eye along the perimeter of the tree-filled town plaza. : a old-fashioned community bookshop. : a bakery and cafe that serves heritage pies (blood orange buttermilk; bacon, potato, mushroom) and ice creams (juniper and honey; black sesame and coconut). : a terrific home goods boutique. : a really lovely modern boutique hotel. 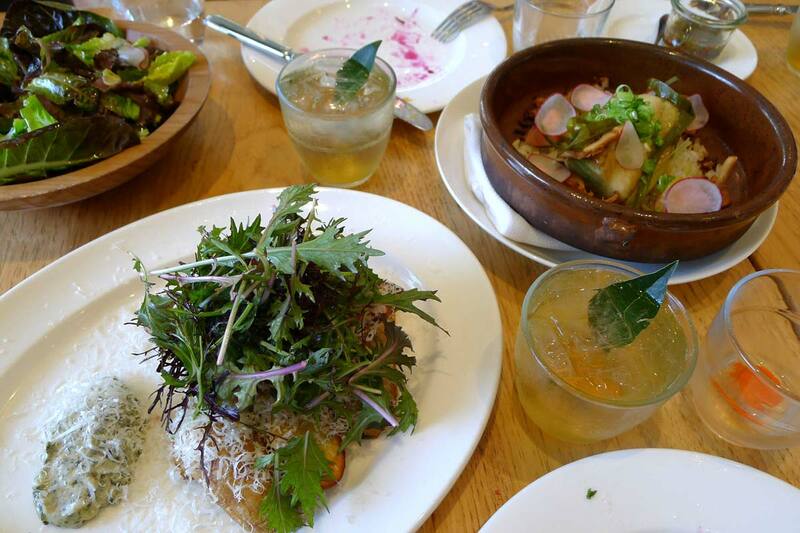 : the Hotel Healdsburg's much-awarded restaurant, run by chef Charlie Palmer. : a men's clothing and accessories shop. : a dog's clothing and accessories shop, for the pooch who knows from haberdashery. : the community theater and concert hall. I pick up a flyer of running routes around town prepared by and imagine that I'm going to take advantage of being on New York City time to wake up early and go for a five-miler around town. Dinner that night is at , the restaurant on the ground floor of Hotel Les Mars. We have dinner with Brian Sommer, the hotel's affable general manager. He had accompanied us to Lancaster, and within an hour, he felt like part of the gang. We sit at a tallboy table in front of the open kitchen and pretty much order everything on the menu. Sardines on toast with salsa verde and hard-boiled eggs. Pork belly biscuits (they're as dangerous as you'd imagine, and we order a second round). Kennebec fries so good I give them three stars and hearts on the menu I'm scribbling. Old Bay strozzapreti, a pasta recipe that has legions of Italian grandmas tossing in their graves, but is pretty good. 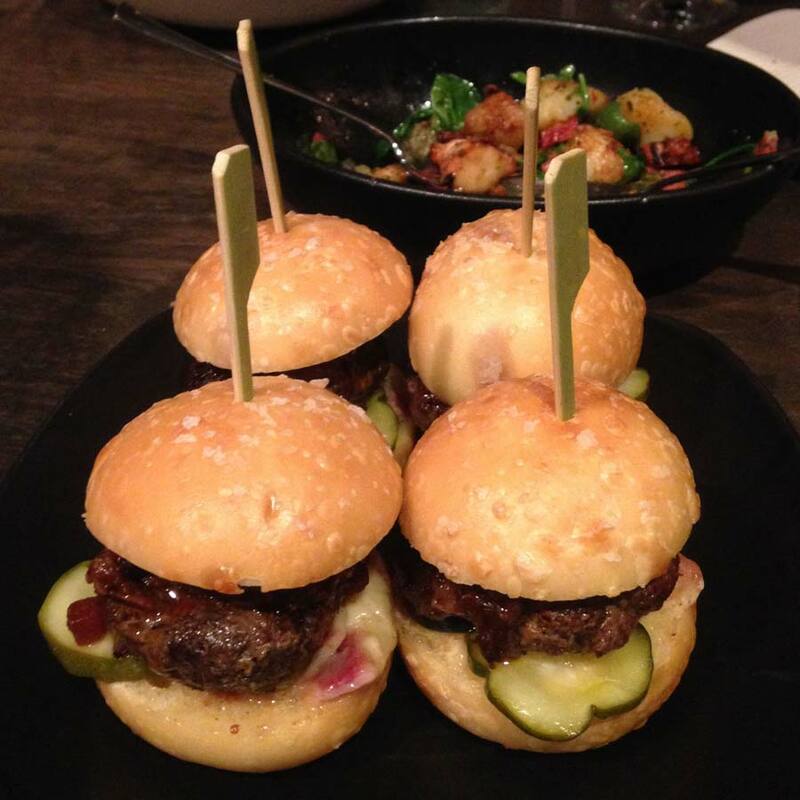 Short rib sliders with blue cheese and bacon aioli, which we make short work of in no time. There had been talk of catching a late set at the Raven, but by now everyone is deep in a food coma, so we go off to bed. Room 303 at Hotel Les Mars. The fireplace in room 303. I've saved the best part of Healdsburg for last: my corner room, #303, at Hotel Les Mars. The palette is warm purples, browns, and creams. Light streams in through the sheers on the windows along two walls. 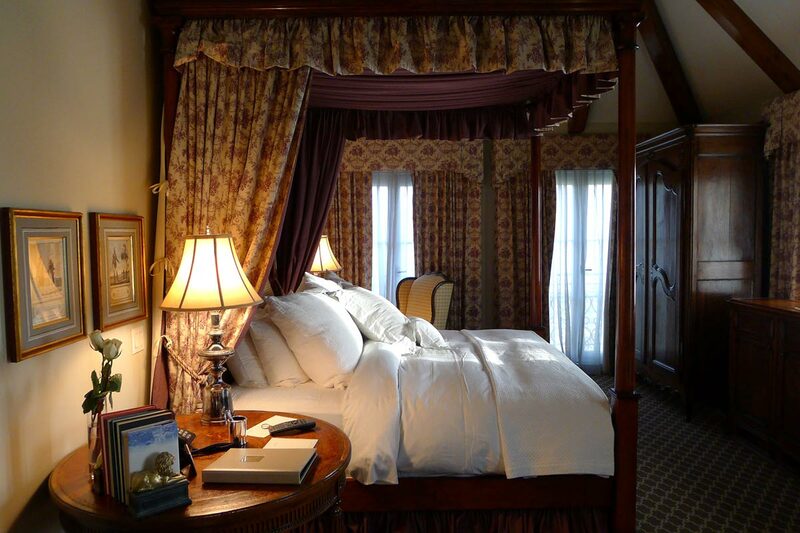 The four-poster bed is draped in a purple toile-de-joie fabric that matches the thick curtains. The furniture is at once delicately carved and heavy. (I don't envy the guys who had to lug the armoire into the corner.) The television rises dramatically from a credenza opposite the bed, but who can watch TV in a room as old-fashioned at this? Eight pillows take up half the bed, covered in crisp, embroidered white linen. I almost lose track of all the seating options: the chaise longue by the stone carved fireplace, the armchair by the bed, the settee against the wall. Of course, I could just take a load off and sink into the enormous tub in the marble bathroom. And that's exactly what I do. 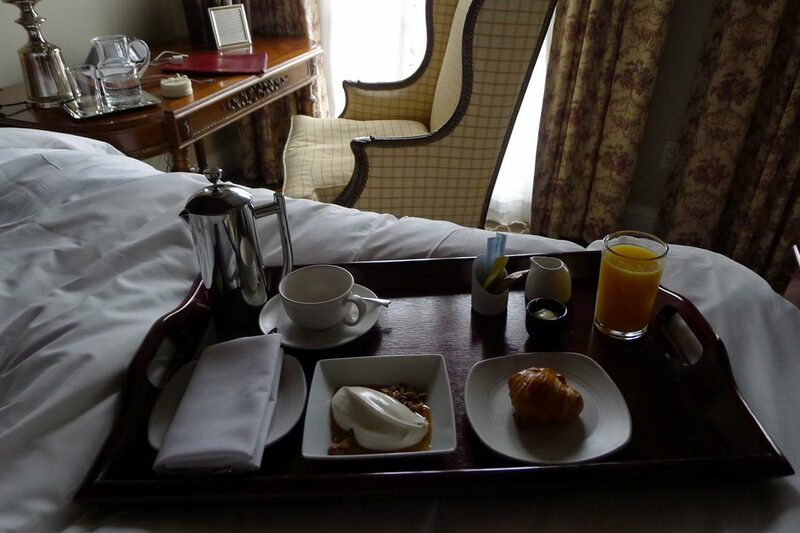 Breakfast arrives in the morning on a tray — croissants, jams, and a silver pot of coffee. I know the theme is France, but I feel like Lady Mary Crawley in Downton Abbey. In the end, there will be no early morning run. Waking up on NYC time lets me soak up every last second of the magic of 303. Our Route du Bonheur will next take me to the legendary Meadowood, but for now, I feel so very, very spoiled, and I don't want my time in 303 at Hotel Les Mars to end. Ever. You could make all the arrangements on your own or through Relais & Châteaux, but Popupla readers who book through the Popupla Travel Concierge get special perks (like breakfast and upgrades) that are not available on DIY bookings. Email [email protected].